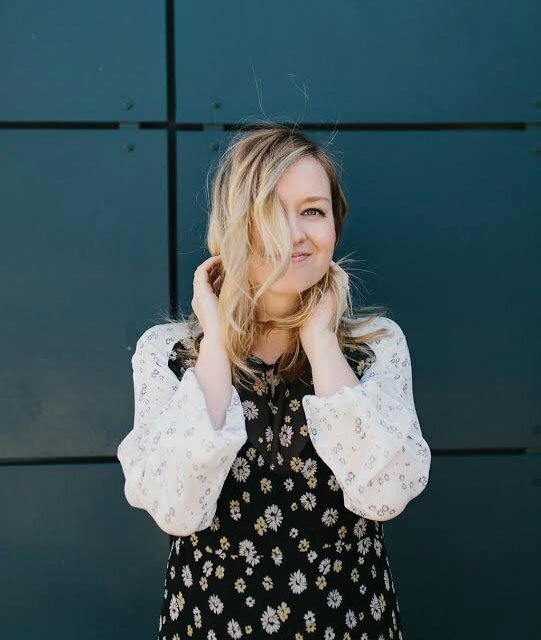 In 2011, with the belief that effortless, every day style should be accessible to all, wardrobe stylist Jen Pinkston channeled her love of fashion and enthusiasm for design into the lifestyle site, TheEffortlessChic.com. Today the site is a repeat destination for readers worldwide looking for Jen’s laid back and effortless take on style. The daily publication features countless style ideas, interior before-and-afters, and constant tips and tricks for adding style and function into your every day. 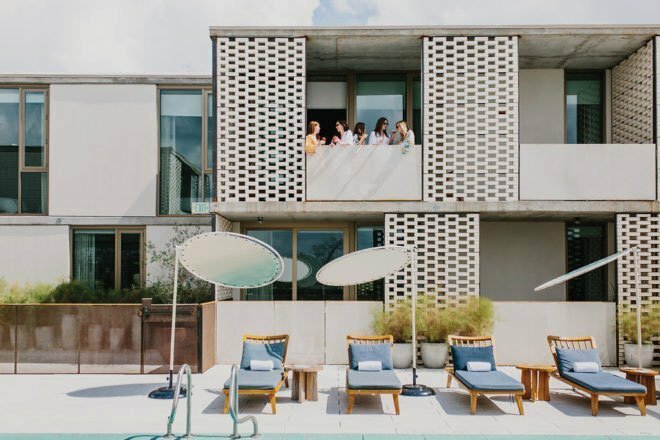 While their team continues to expand in Austin and beyond, the core mission of relatable, attainable style will always remain the same. 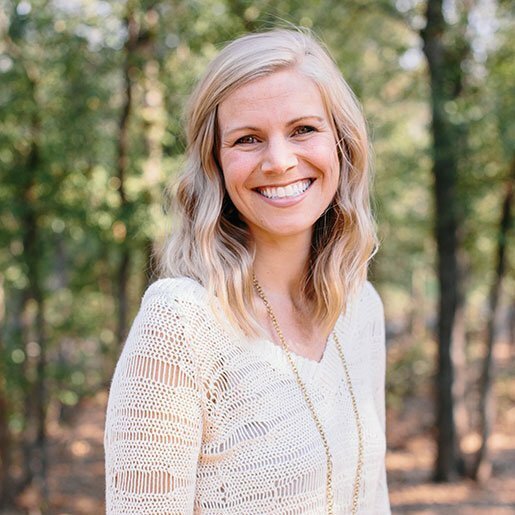 With a storied past of wardrobe styling for the likes of Ellen DeGeneres and Kristen Wiig during her 10 years of living in Los Angeles, Jen Pinkston’s dedicated readership is the result of authentic storytelling as she now lives her life back in her home town of Austin with her producer husband and two daughters, Parker and Ever. Her audience has followed along with her through her pregnancies, building a house, and as her family adventures from beach to city and beyond. Her love for parties is only rivaled by her belief that fashion should be fun, make you feel good, and be accessible to everyone. 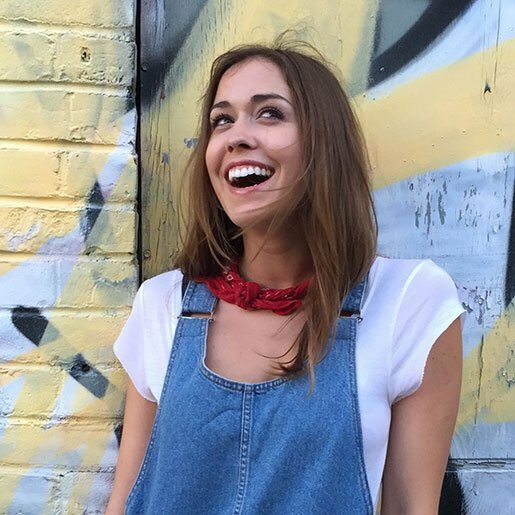 With a background in fashion styling and an Art History degree from UCLA, Britt loves finding beauty in everything–ranging from DIYs to food stories and beyond. Her favorite past times are free style dancing, carpool karaoke, and drinking margaritas with friends. When she’s not producing photo shoots for The Effortless Chic, you can also find her around town wardrobe and prop styling for brands and publications alike. Britt believes you can never be too dressed up to go to the grocery store. 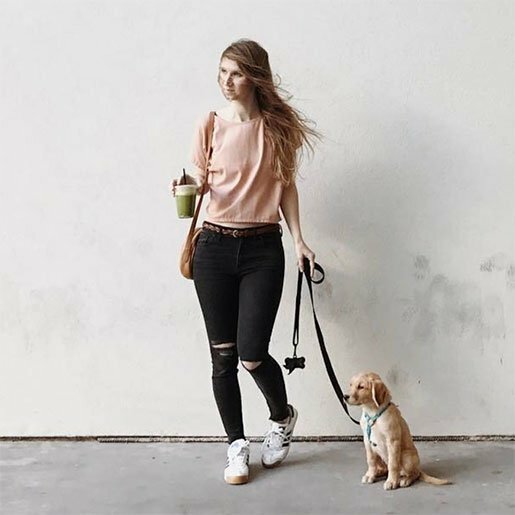 Katie Jameson is a fashion, editorial, and lifestyle photographer, a native Texan, and a mom to the most adorable Golden Retriever you’ve ever seen! Her ability to capture a moment, a person, or a place and her inimitable natural light aesthetic bring so much life to the content we create here at The Effortless Chic. When she’s not shooting, which is rarely, you can find her exploring new cities, drinking iced coffee, and enjoying the company of friends. 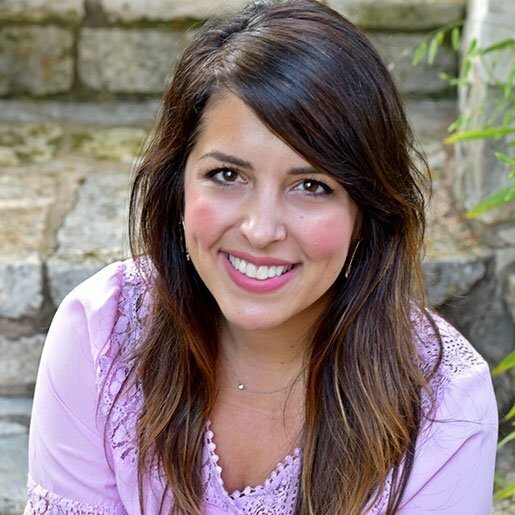 Sara is an interior designer living in Austin, TX (a rare native! ), where she helps people create meaningful, accessibly beautiful spaces. She believes the design process should be highly collaborative and feel uniquely authentic to each individual. Sara met her writer husband, Dana, in Los Angeles, CA while they were both chasing the Hollywood dream. Now back on home turf, Sara and Dana enjoy endless amounts of queso and college football with their two daughters, Blake and Decker. When not designing, you can find Sara drinking rosé, wearing sequins, dancing to any/all boy band music, trying to solve a NYT crossword, watching Seinfeld or Gossip Girl (yes, still), going to random sporting events, squishing her kids’ cheeks, maximizing her Amazon Prime account, trying to be a cool mom, and daydreaming about Napa. Lauren Daniel is a freelance graphic designer by day and a self-taught home cook by night. After health issues turned her to gluten free living, she decided to teach her self to adapt recipes she loves, coming up with her own GF versions of both savory and sweet dishes. 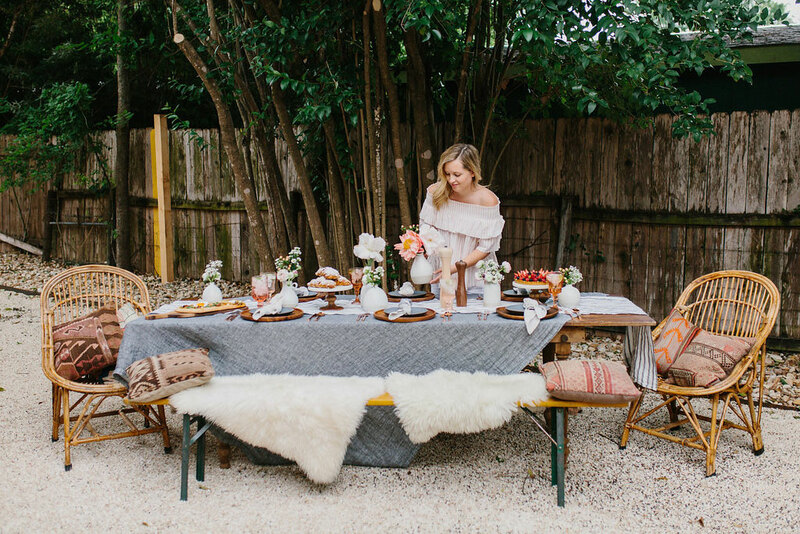 When she’s not experimenting in the kitchen, you can find her walking her poodle-dachshund pup around their central Austin neighborhood, sipping coffee and perusing thrift stores with her husband, or crafting with girlfriends. The Effortless Chic collects as little information as possible from users looking to post comments and messages in the forum. We will typically collect a name (either real or alias), personal website, and e-mail address. None of your information will be shared with third parties. The Effortless Chic may use your e-mail address in the future to contact you regarding the site, however, an opt-out will always be provided. Your name and website may be displayed on the site if you post a comment or a message in the forum. However, your e-mail address and privacy will always be kept secure. If The Effortless Chic chooses to send out newsletter updates in the future and we have your email address on file, you may receive a copy of our newsletter. However, at the bottom of every newsletter will be an easy way to opt-out. The editors of our site hate SPAM as much as you and have no intention of filling up e-mail boxes with unwanted messages.